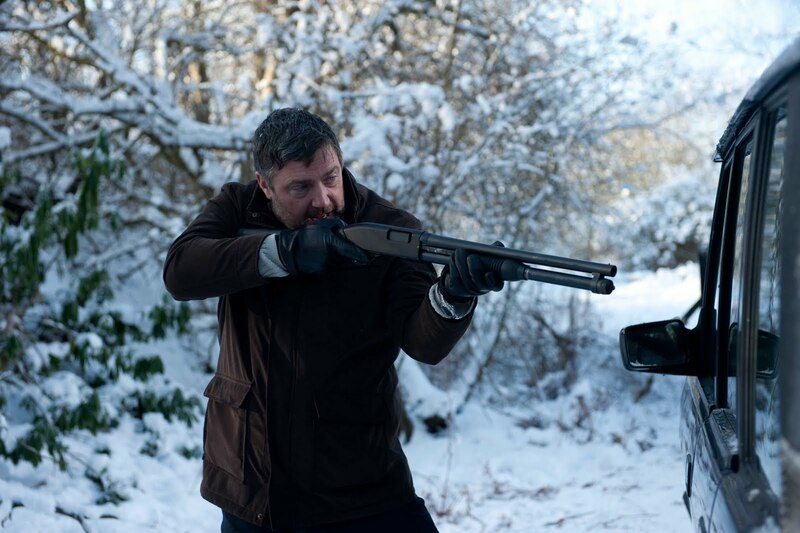 With Guy Ritchie cornering the 'gangsters with a sense of humour' market, the field for making something UK-based and decidedly more gritty remains largely unclaimed and open territory. Step up to the plate then Sacha Bennett with Bonded By Blood, another film in a long line of Brit-flicks which explore the rather rosily-remembered halcyon days of the nineties, when The Essex Boys drug firm freely distributed various mind-altering substances throughout the South. With a self-written script basically consisting of expletives aimed at one drug dealer or another and a cast of characters distinctly on the wrong side of 'likable', Bennett has his work cut out for him in treading the line between unpleasantly realistic and pleasantly entertaining. If you had to pick one or the other, odds are you'll fall on the 'unpleasant' side of the line, with career criminal Pat Tate (Tamer Hassan) proving particularly unlikable in several brutal scenes directed without the merest hint of a flinch from Bennett. It's difficult stuff to watch but kudos points must be awarded to the director for showing it as it more likely was, rather than Ritchie's glossed-over version of likely lads being slightly naughty. As with any 'true' story, Bennett also has a hurdle to overcome once the conclusion becomes glaringly obvious and all tension threatens to evaporate. Again, the inexperienced director copes well and the tense final third is manufactured with aplomb and fluidity, Vincent Regan proving impressive as the most-likable of a set of decidedly evil men. Where Bonded By Blood falls down is in its 'fast and loose' treatment of a story which, despite several adaptations, still feels like it's lacking a serious dramatic exploration. There's no examination of the trial of the supposed killers for instance, nor is there a deep look into some of the more disturbing ramifications of the dealer's actions, the aforementioned two themes instead featuring more as footnotes. A solid, if rather disturbing thriller then, which aims for something akin to Bad Boys when it could look to The Godfather instead. Bonded By Blood is out in UK cinemas from Friday 3rd September.